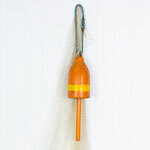 This lovely old wooden lobster pot buoy is painted orange and yellow, with the license number 927. 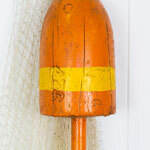 Every lobsterman had his own colour scheme and many buoys are marked with initials and license numbers. 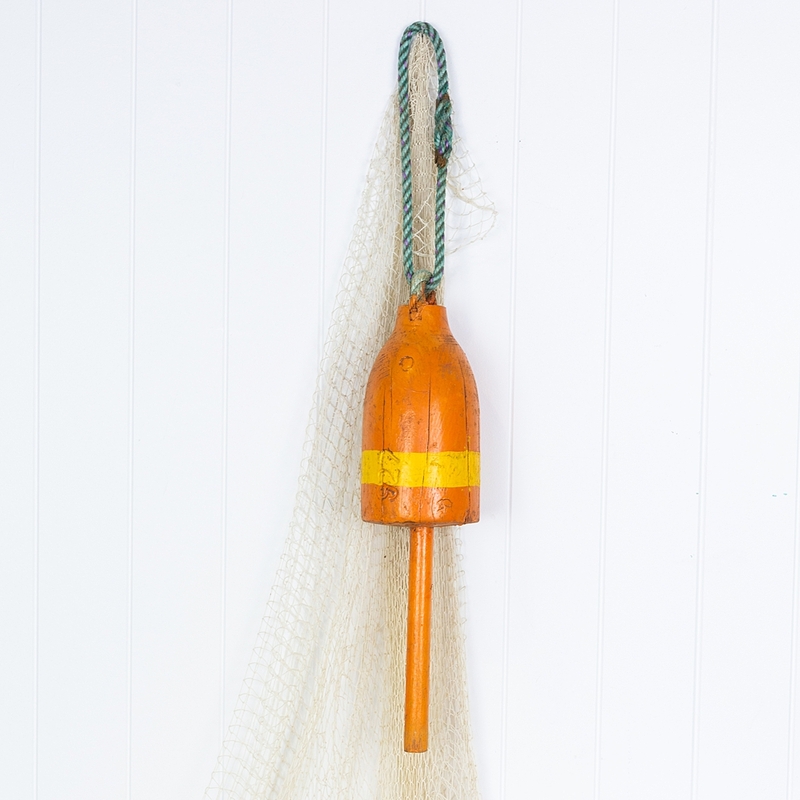 Some are quite rough-hewn while others are more shaped and finished. 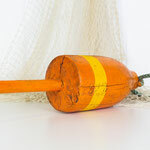 All are used and in good condition, and make both wonderful indoor or outdoor decor. 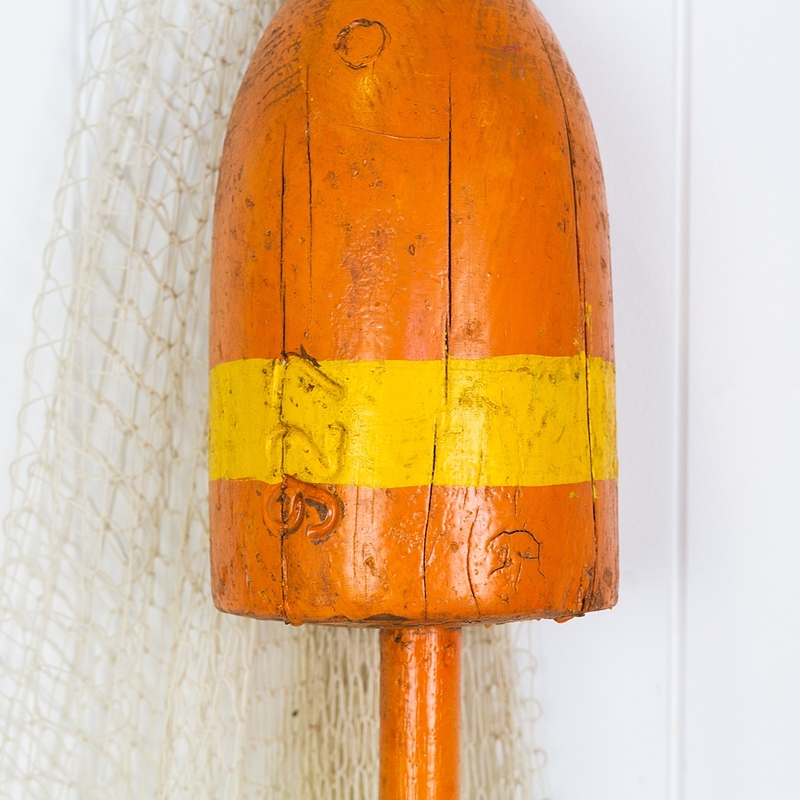 Wooden buoys are no longer used in Maine and every fisherman has turned to plastic foam, so wooden buoys have become highly collectable. From Maine or Nova Scotia. 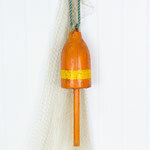 This piece would make a great door stop or string a couple of these up with rope and hang by the pool.